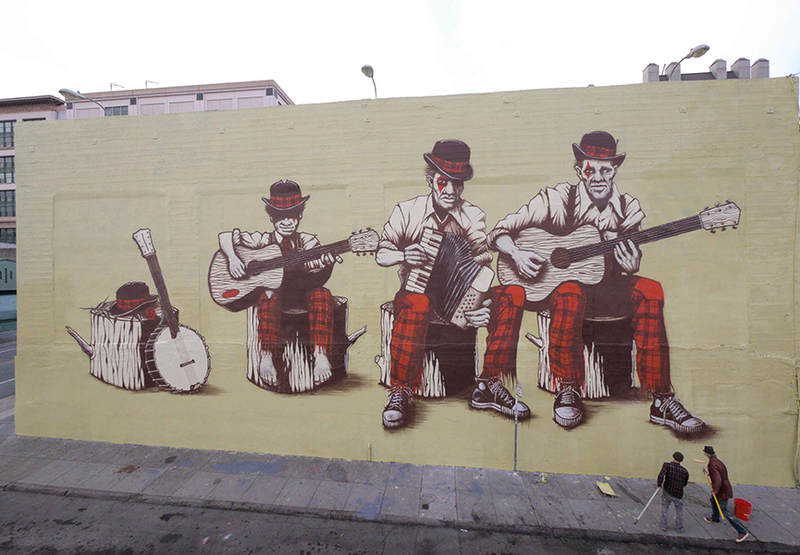 Street art reached the status of being commercially acceptable and even useful long time ago. 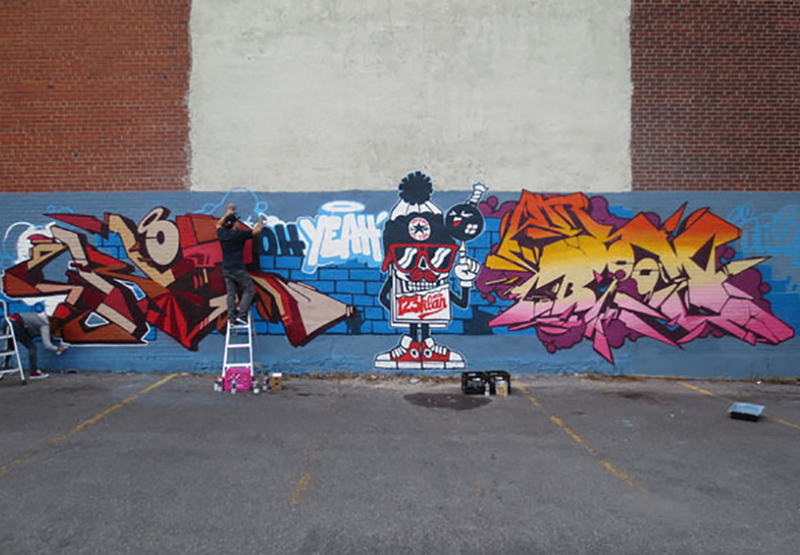 Many big and small businesses have acquired the talents of street artists for legal, but also illegal murals and pieces. 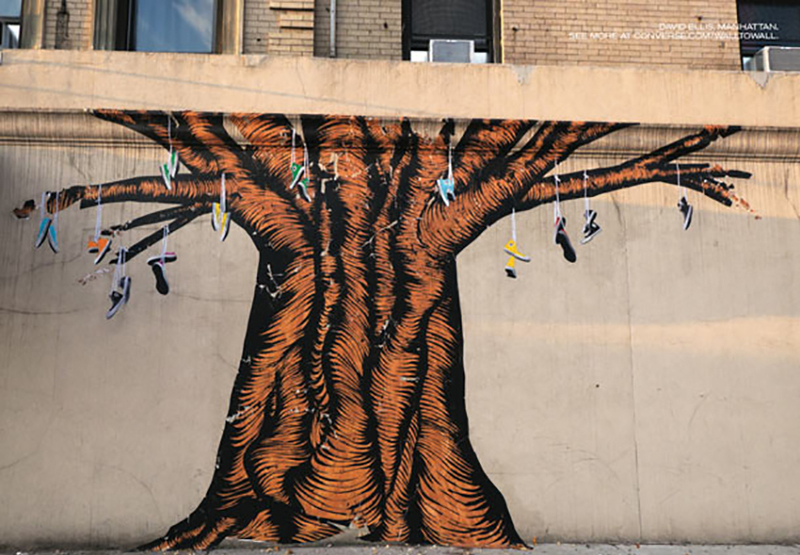 Apart from the big players like Nike, Converse, Play Station and AXE, non profit organizations like Amnesty International or parkinson.dk have utilized the alluring nature of creative street art to draw attention to their products or causes. It seemed absurd that street art, the counterpart of advertisement, should be used for exactly the same purpose. 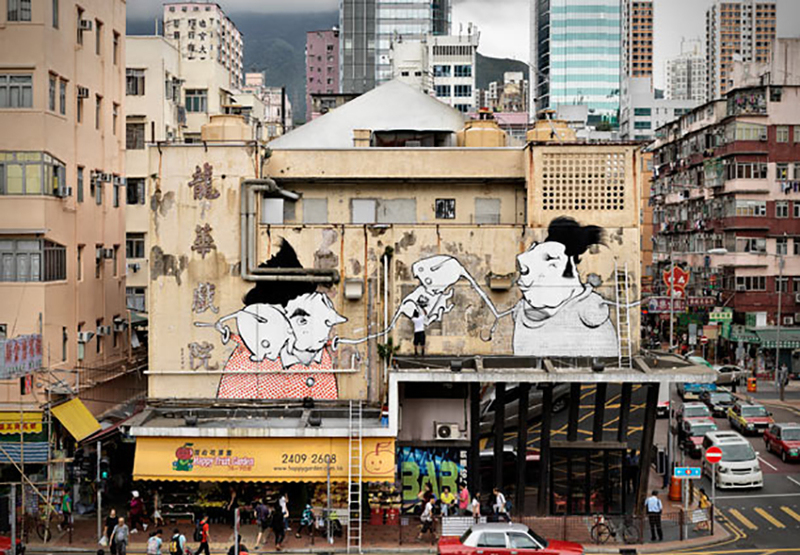 However, these projects, murals and pieces prove that street art and advertisement are no longer contradicting. The streetwear label Adidas obviously has close ties to street art and urban culture. The commissioning of murals for advertisement was a logical step in the companies marketing efforts. 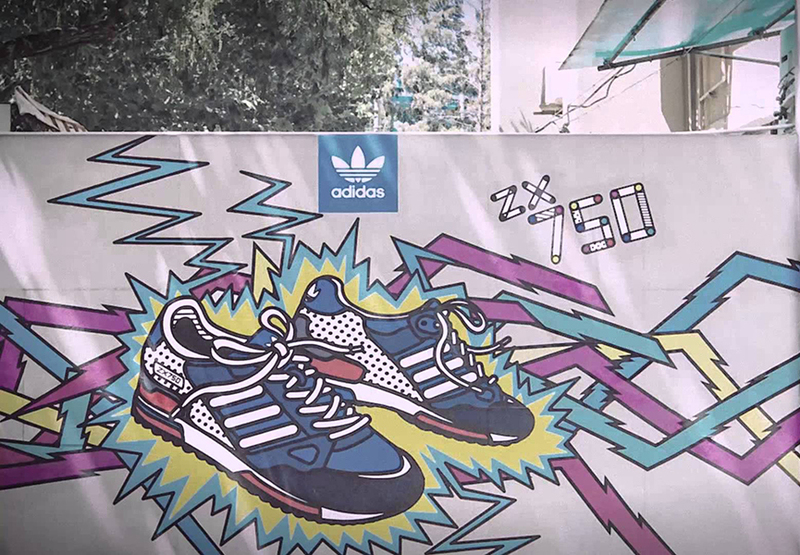 They collaborated with NeochaEDGE to promote the release of the ZX750 sneaker in 2013. 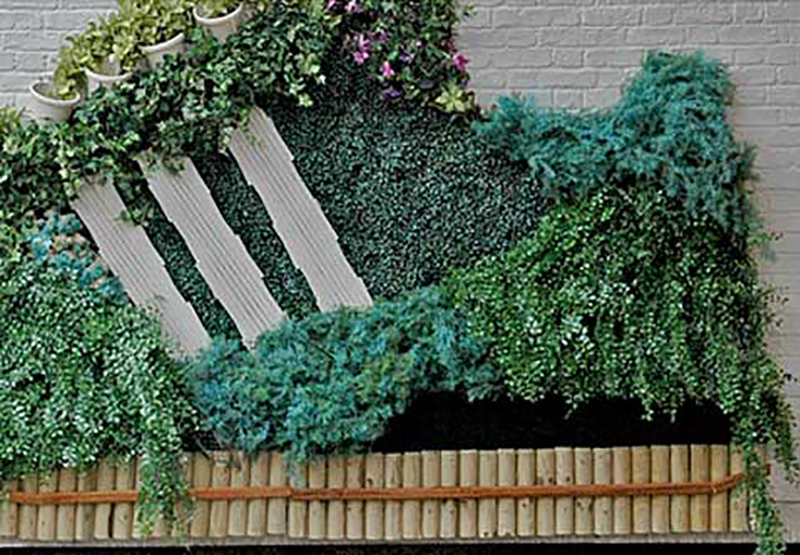 They did something similar with the green sneaker that shows a shoe covered in green leaves. 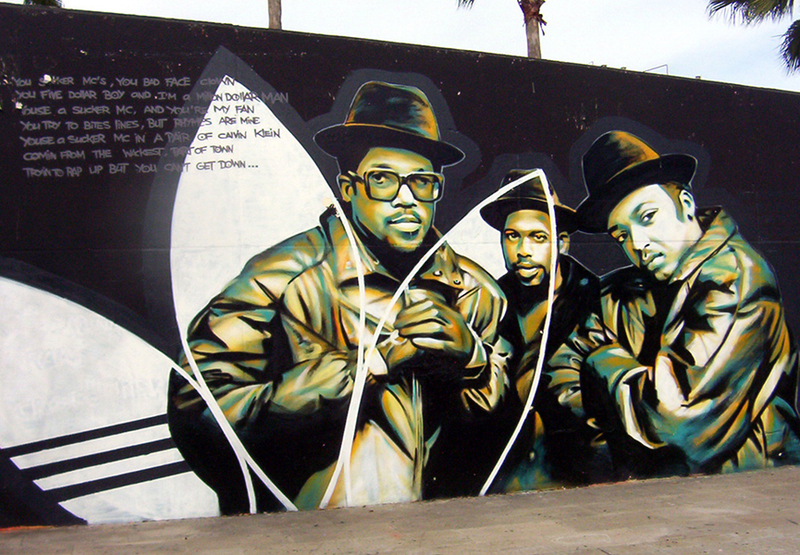 The Run DMC mural is an Adidas original commission. The Hip-Hop crew has always been closely associated with the three stripes. 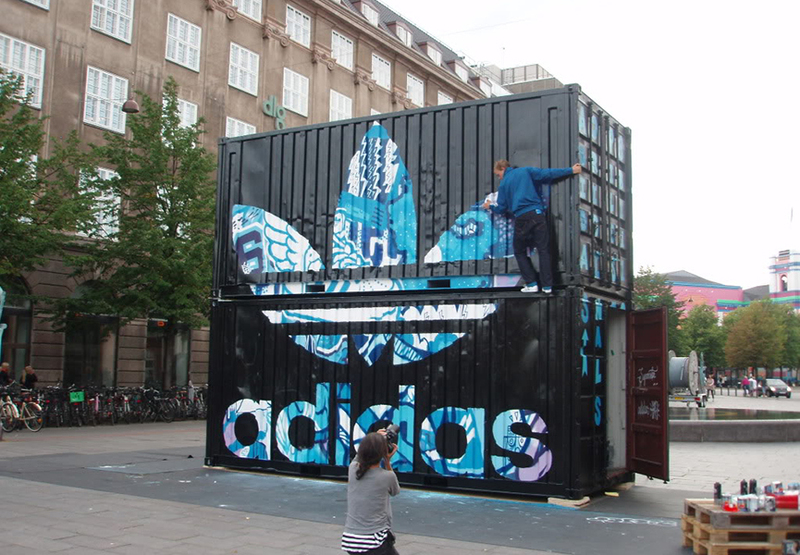 Since Adidas is the fashion supply of choice for those interested in urban culture, they are obviously an ideal example of successful and cool advertisement with street art. The human rights organization Amnesty International is forced to think creative when it comes to being heard or seen. Making aware of human-injustice is one of the hardest jobs there is. Many classical forms of advertising are for many reasons often unavailable for organizations like Amnesty. It comes down to working the street and speaking with people directly to get them to join the cause. 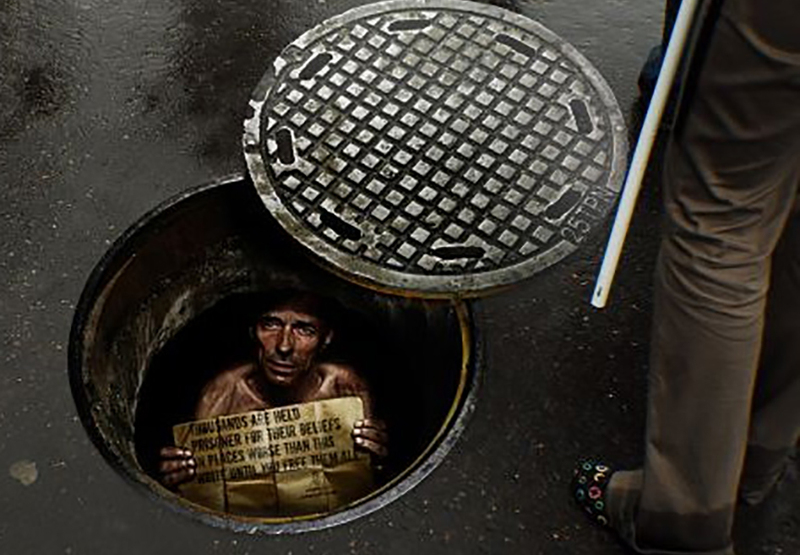 Amnesty International decided to assist the public awareness campaigns by commissioning street art pieces. 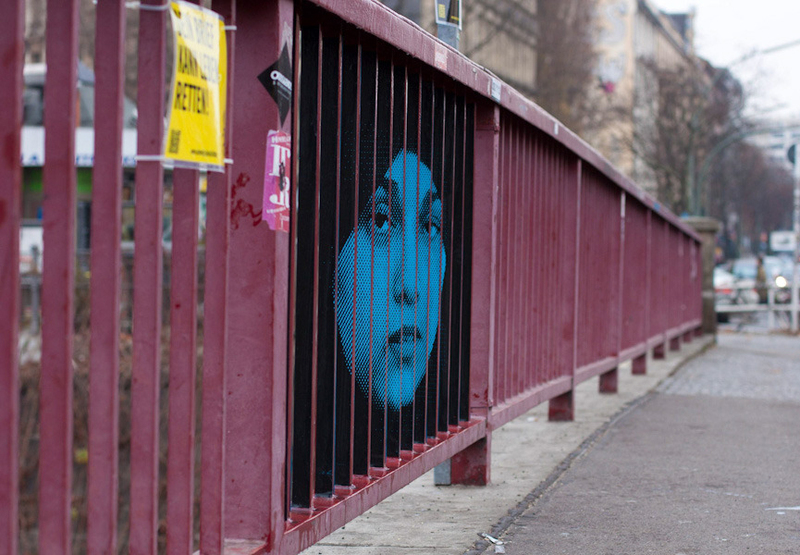 Street art pieces make you stop, stare, laugh, wonder, dream and also think a little harder. 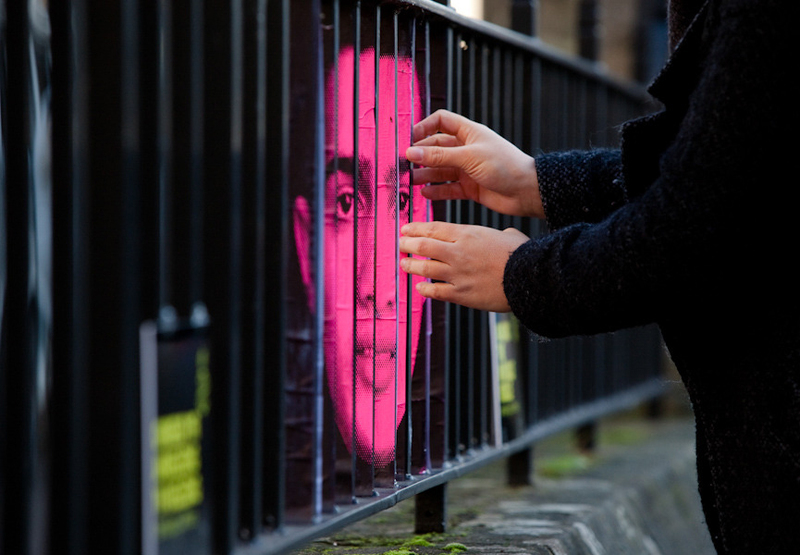 We sincerely believe that these creative street art pieces influence people to consider supporting Amnesty International more than the usual marketing channels. AXE is known for their funny commercials and advertisements. The most recent example is AXE Peace Make Love Not War campaign. 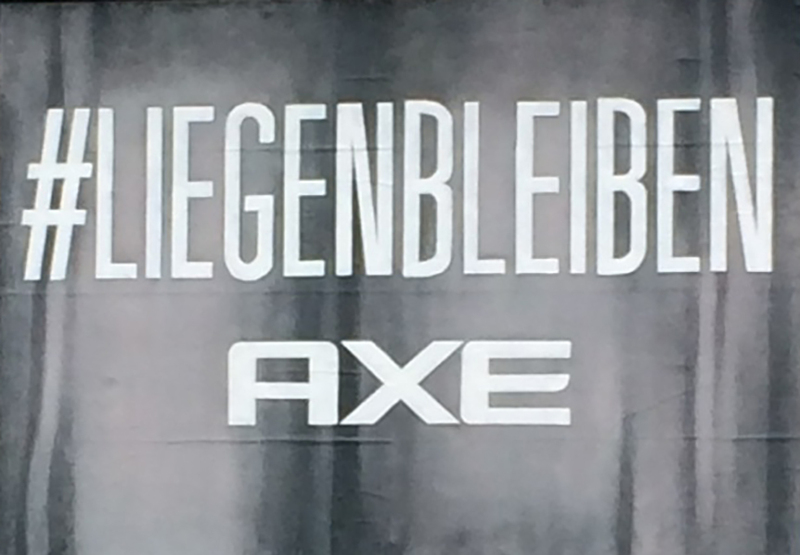 Their new advertisements show dictators on the brink of war until they use AXE Peace. From their on out the dictators’ world revolves only around their women. 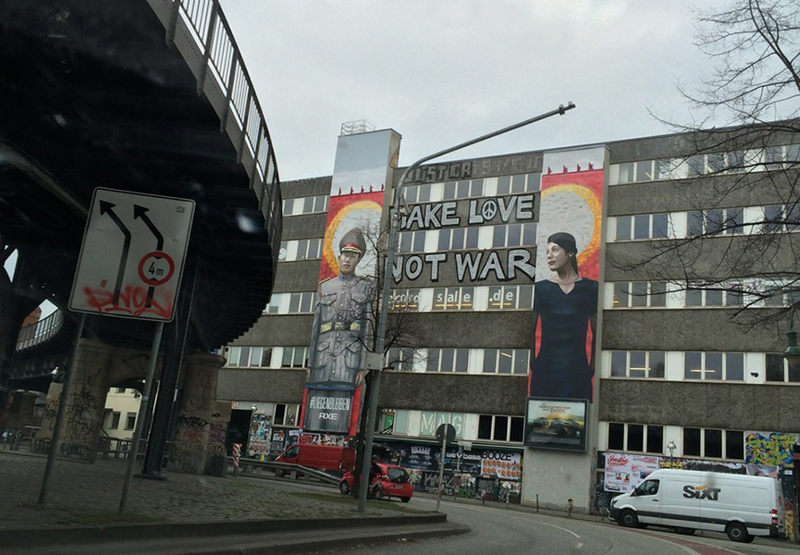 Now this imagery decorates the building of Magnet Bar in Berlin at Schlessisches Tor (you’ll get the best view by riding the U1 from Warschauer). 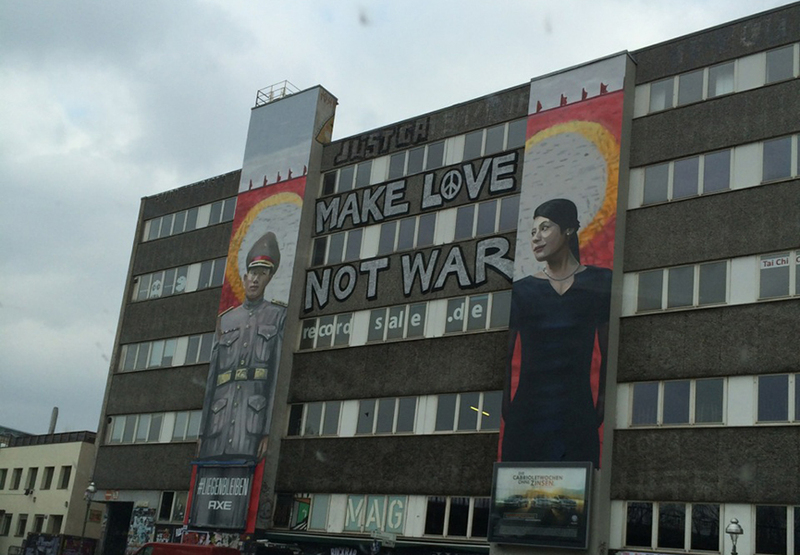 This mural is a photorealistic painting of a Korean dictator that no longer thinks about nuclear missiles but dreamily looks over to his wife. 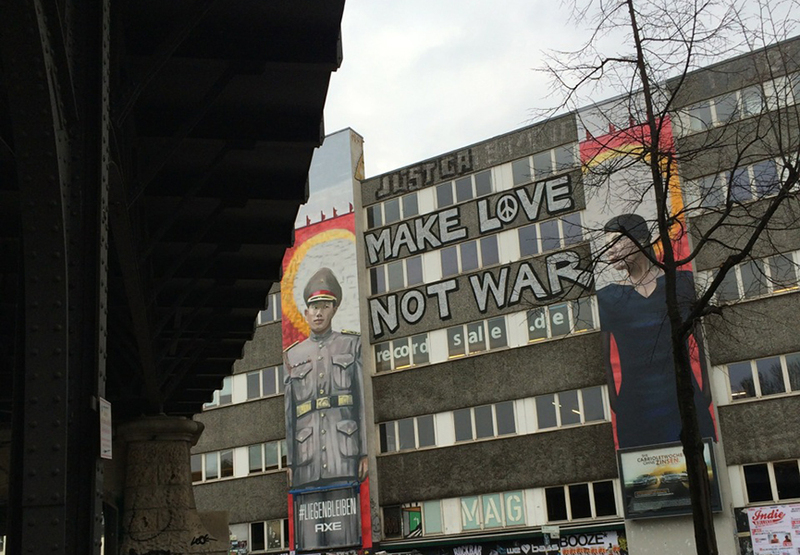 Make Love Not War in between the two is finished in classic graffiti lettering. 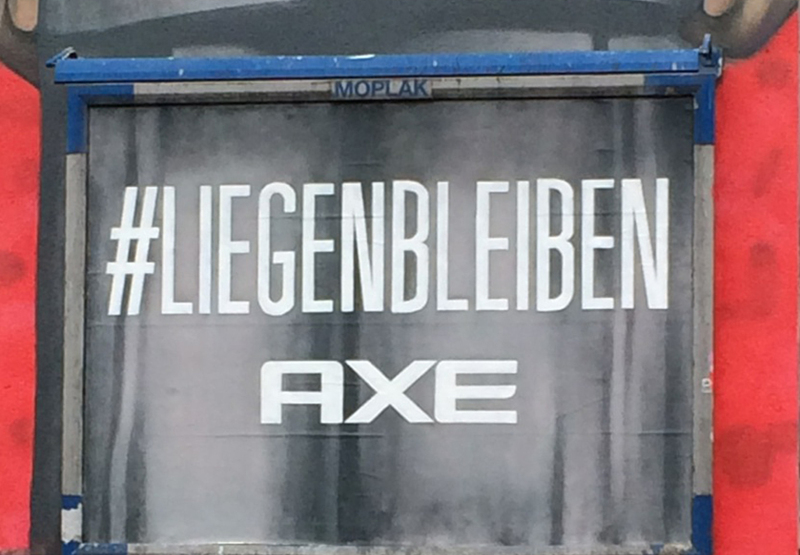 They placed a billboard instead of the dictators knee to raise awareness to their brand and #liegenbleiben, a marketing project with German hip-hoper Cro. 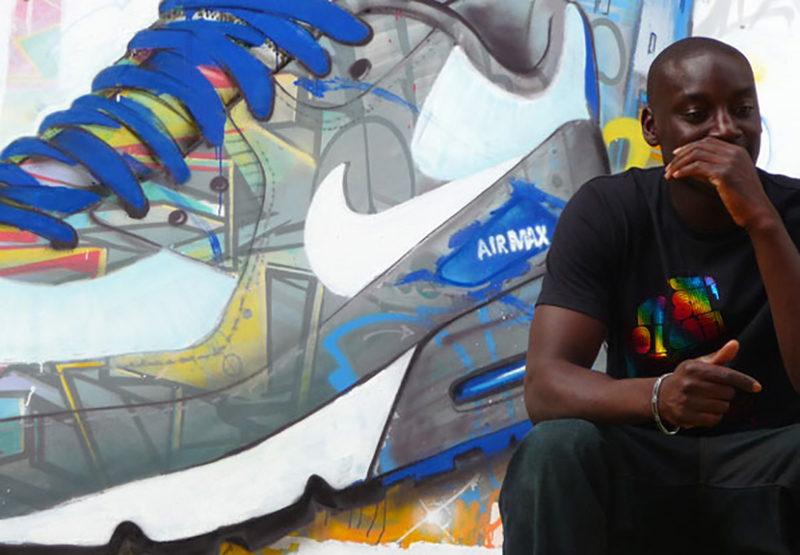 The American sneaker brand is another example of a perfect match between street wear and street art. The classic Converse Chuck Taylor is one of the most sold sneakers in the history. A large majority of artists are proud owners of this shoe. 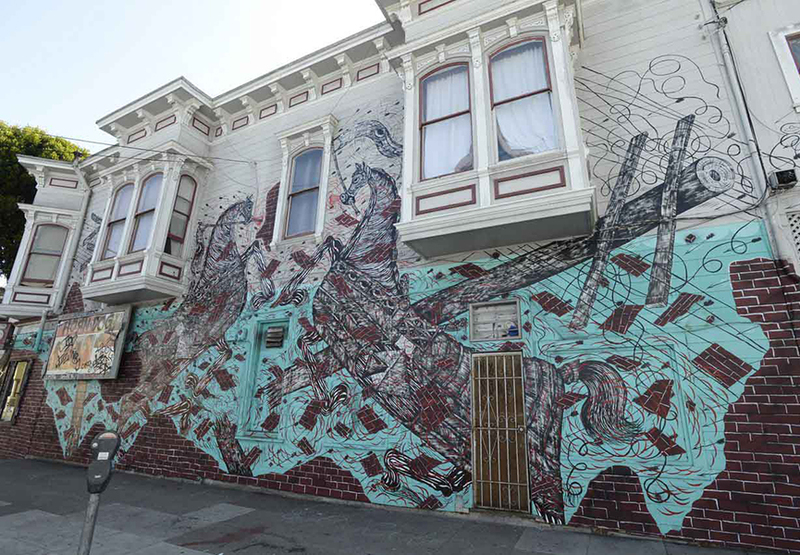 If Converse asks you if you can paint a mural for them, you don’t really hesitate. The offer to reinterpret your favorite (child, adolescent and adult) shoe artistically is something not many people will reject. 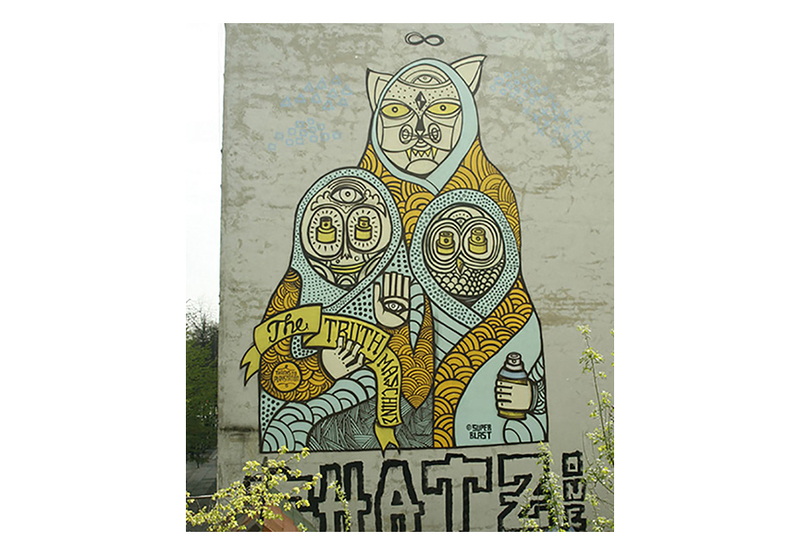 The street artists who have collaborated with Converse on their Wall to Wall project with Juxatpoz are: Andrew Schoultz, Buff Monster, Mike Shine, IDT Crew, Charles Munka, Alex Hornest, 123 Klan and David Ellis. 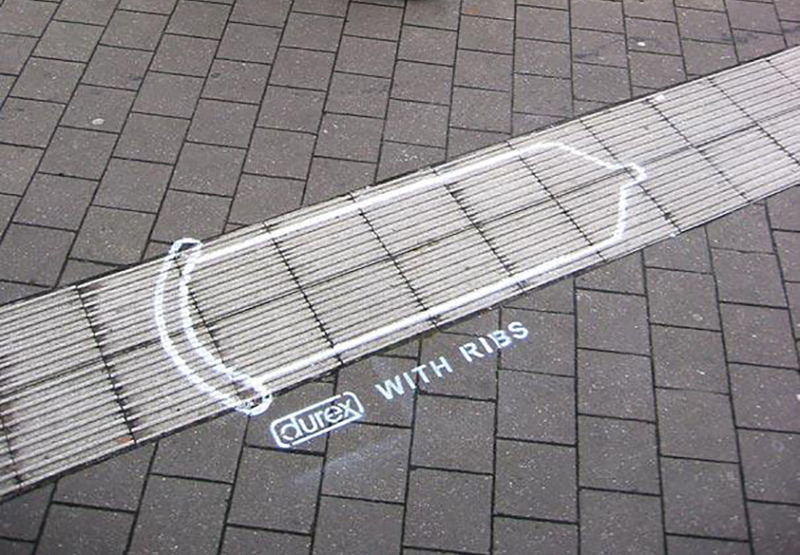 Durex did not outdo itself in terms of artistic complexity, but the humor is what makes their street art ads so outstanding. Humor, wit and cleverness are trademarks of stencil pieces everywhere. 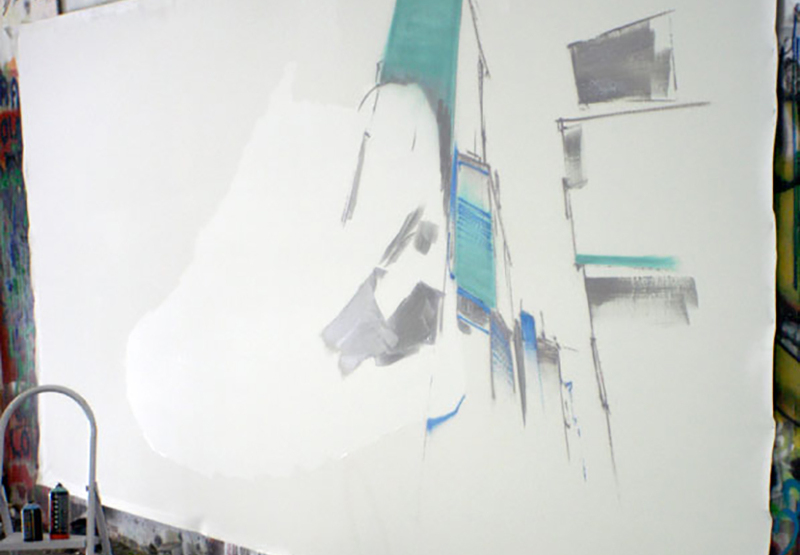 The incorporation of the urban environment into their piece is another characteristic. 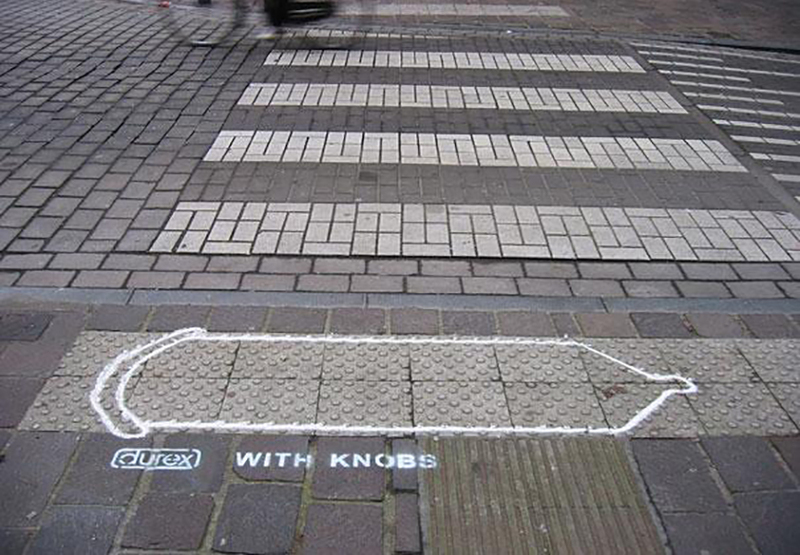 The white condom is painted on structured parts of the street with knobs and ribs promoting that exact quality of the condom. The non-profit organization’s mission is to protect water quality and wildlife habitat in the river corridors and to advocate for sound land use in the Milwaukee, Menomonee, and Kinnickinnic River Watersheds. To achieve their goal they thought of a very entertaining and clever way. 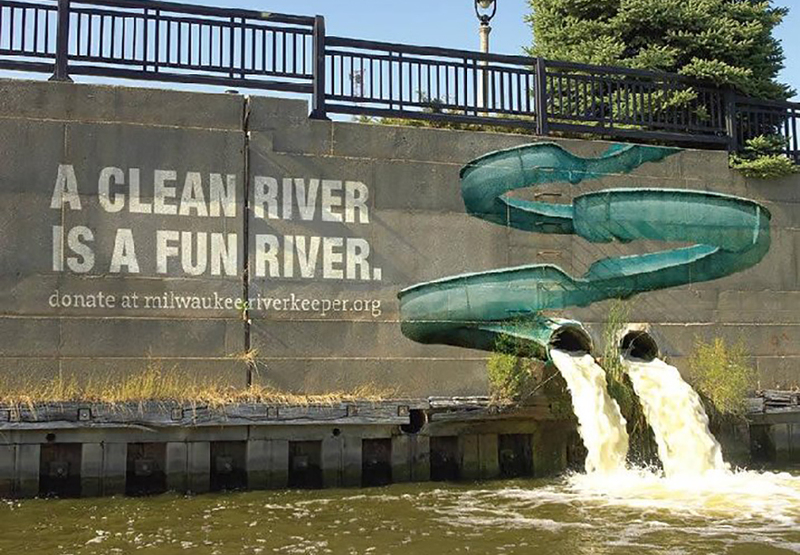 They commissioned a mural on the wall along the Milwaukee River. The mural shows water slides that end in the sprouts at the bottom of the wall. 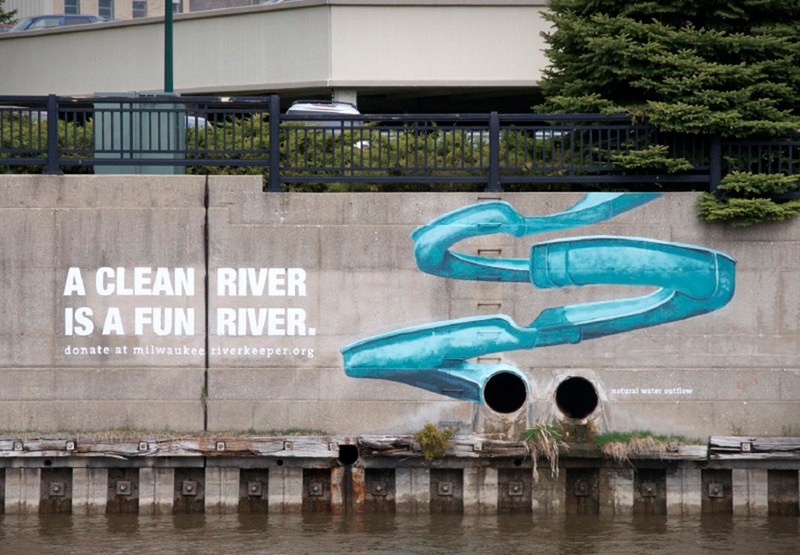 The mural reads that ‘only a clean river is a fun river’. Not really well known for their humor these kiwi policemen and women have proven otherwise. 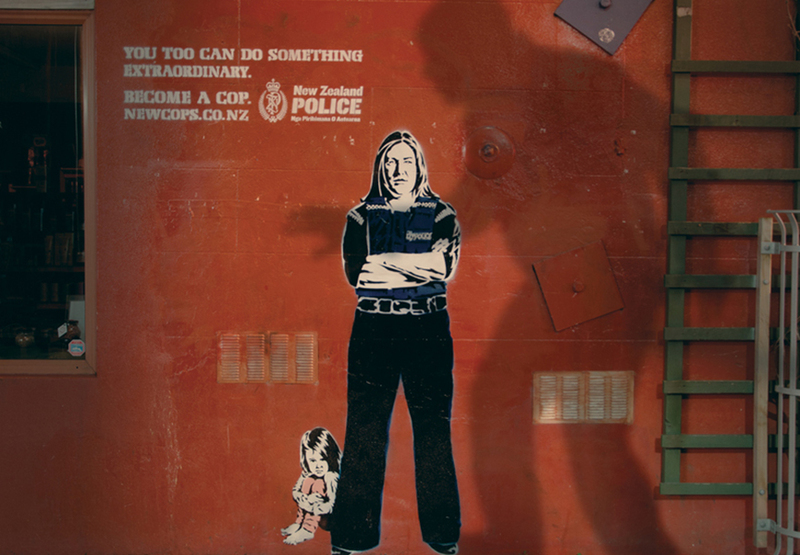 The stenciled street art pieces show New Zealand’s police force chasing burglars, comforting crying women and protecting little children. The writing beside the mural reads “You can do something extraordinary. Become a cop. 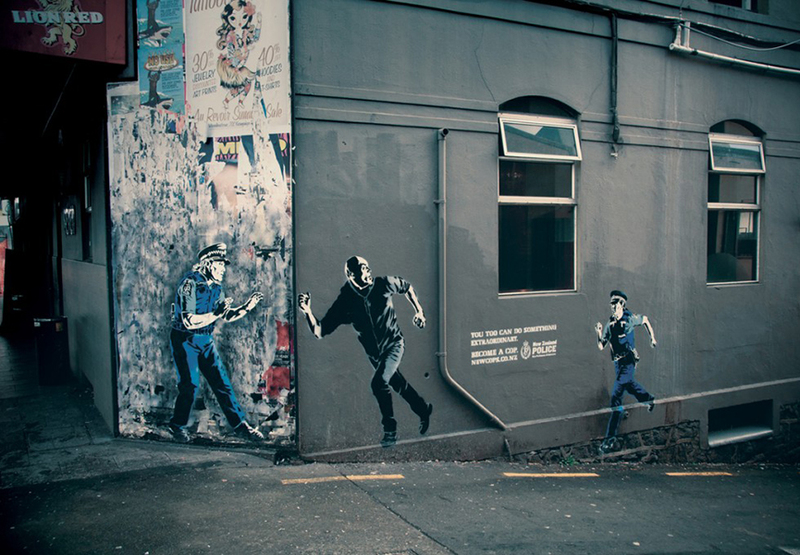 New Zealand Police.” Not the worst way to make yourself more likable. Nike has a long history of brandalism in street art. 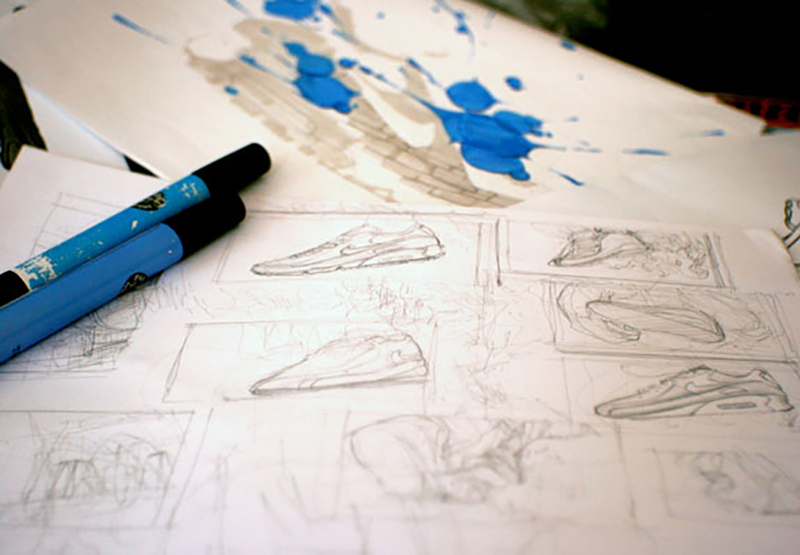 The Swoosh and Just Do It have been popular images for street artist to criticize either the sportswear giant or advertising in general. 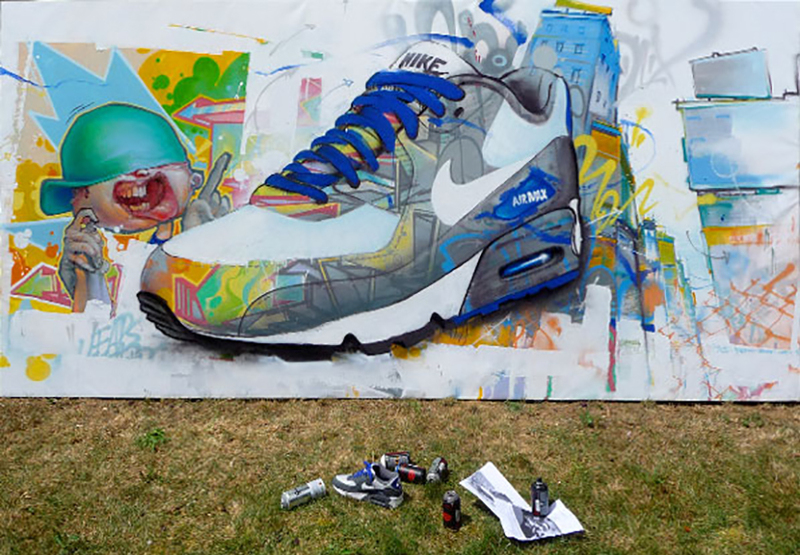 Not necessarily to counteract, but to say ‘we can do street art too’ Nike commissioned the French street artists Drops to paint a mural that would include the Air Max 90 shoe, but apart from that, it could look as the artists pleased. 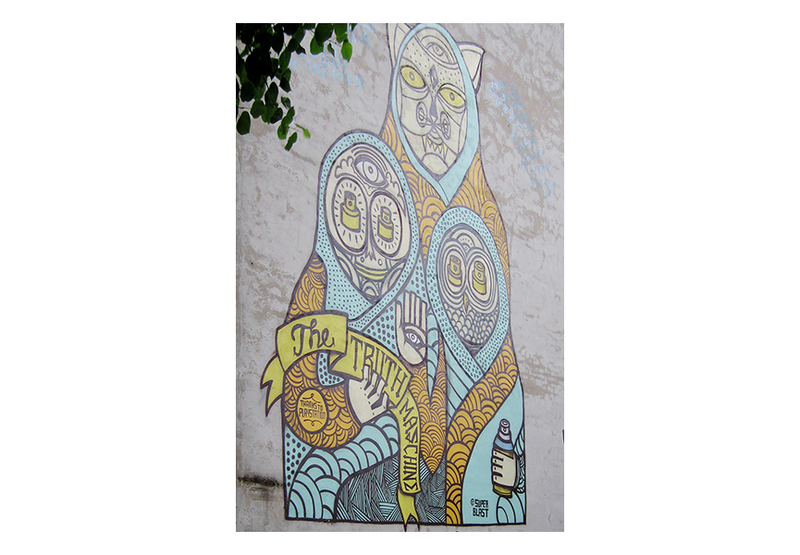 The result is a sophisticated post-graffiti piece that clearly has its roots in graffiti, but encompasses different art styles. 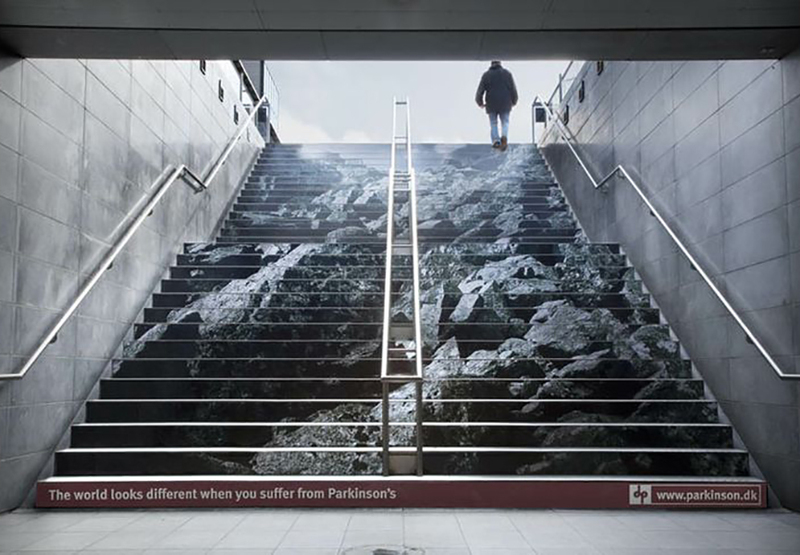 The Danish non-profit organization parkinson.dk has created stair stickers that should raise awareness of the hardship that persons suffering from Parkinson’s endure. The piece indicates that for a person with Parkinson’s disease climbing a flight of stairs is like climbing a mountain. This is a very creative way to draw attention to this disease. 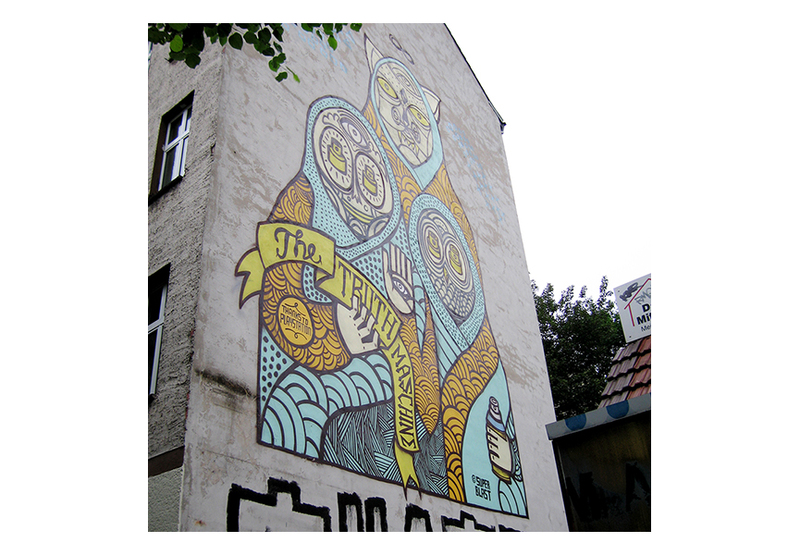 When Playstation launched the PSP in Germany they commissioned the Berlin based street artists Superblast to create a mural. Superblast’s job was to create one of his characteristic iconography pieces that incorporates the theme of gaming. 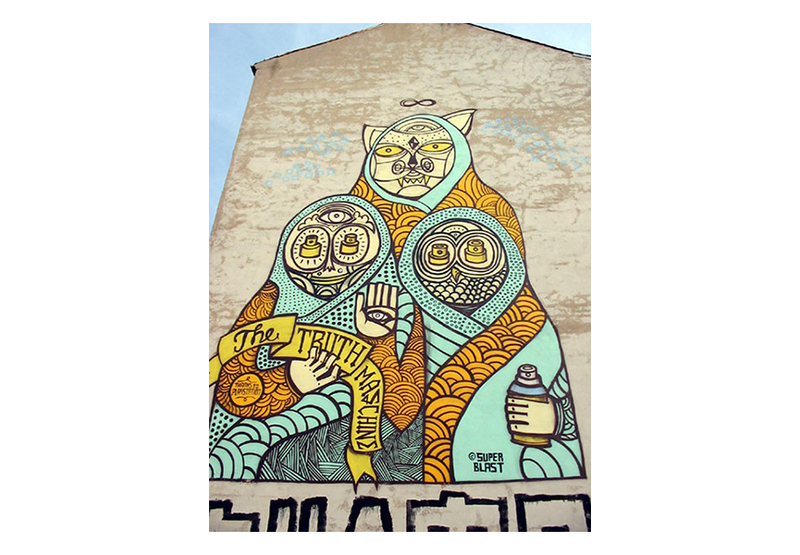 Superblast didn’t hesitate long to start painting at Torstrasse 86 in Berlin. The standout characteristic of the Superblast – Playstation mural is that it uses abstract imagery to promote the product. 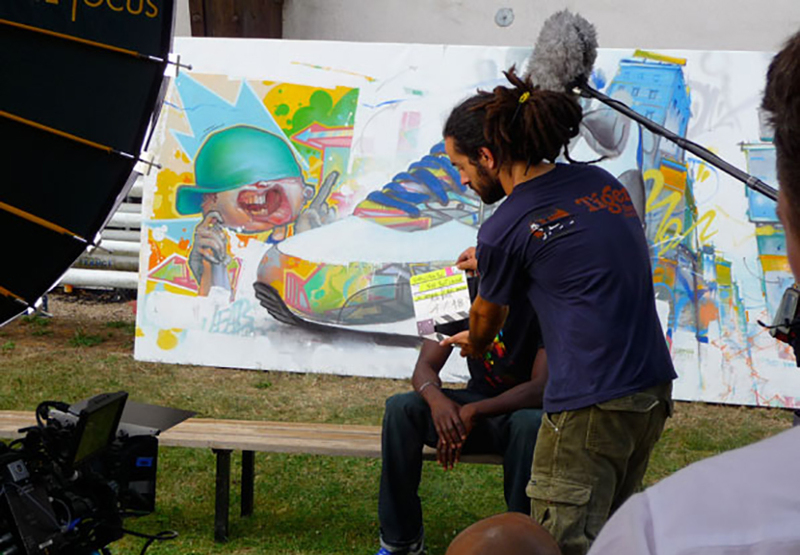 Viewers will not initially connect the mural to the PSP, but when they take a closer look they will find the artist’s gratitude in form of “Thank you Playstation”. Sign up for My Widewalls!